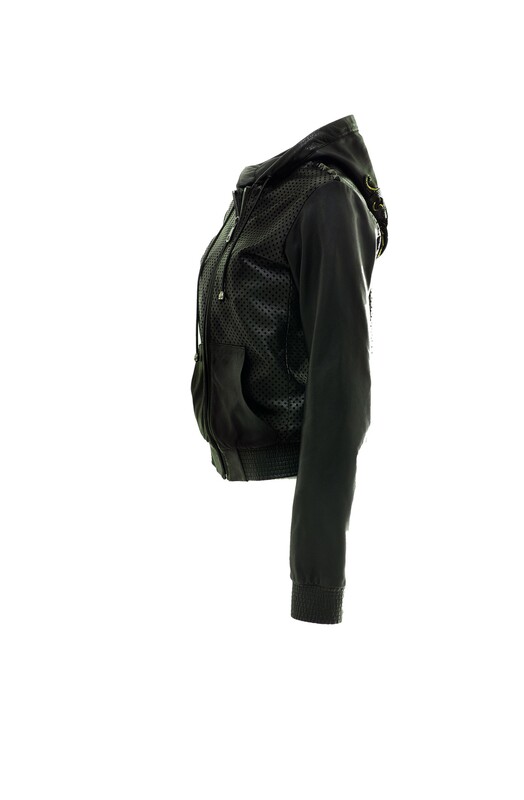 Bomber coat made of perforated lambskin with a fixed hood. 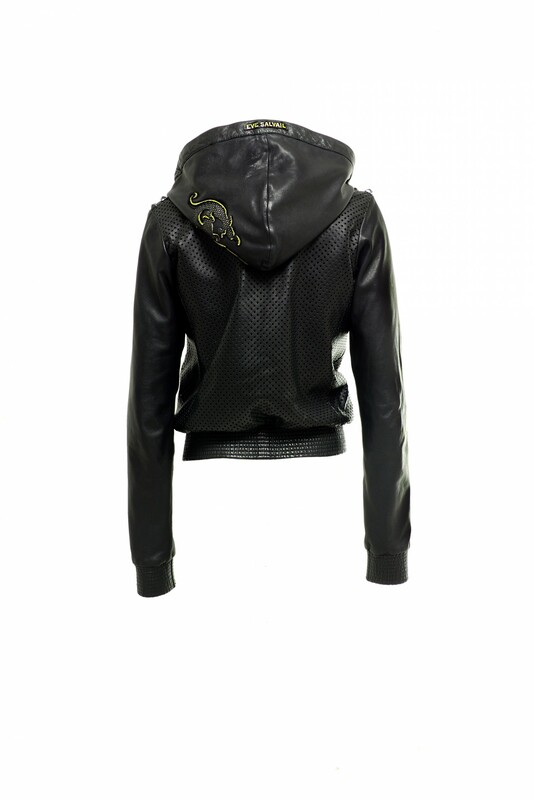 Pockets applied to the front. Wrist bands and waistband made of leather covered elastics. 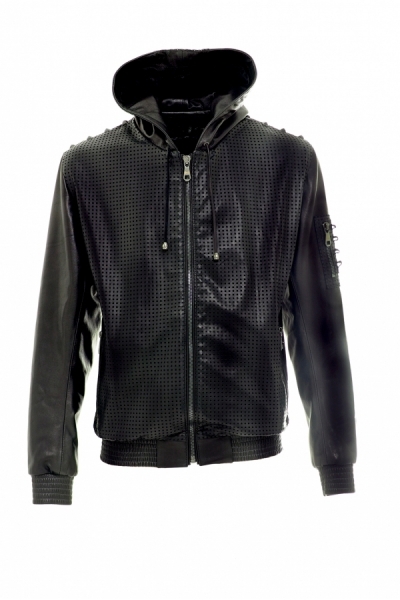 Studs design on the shoulders. 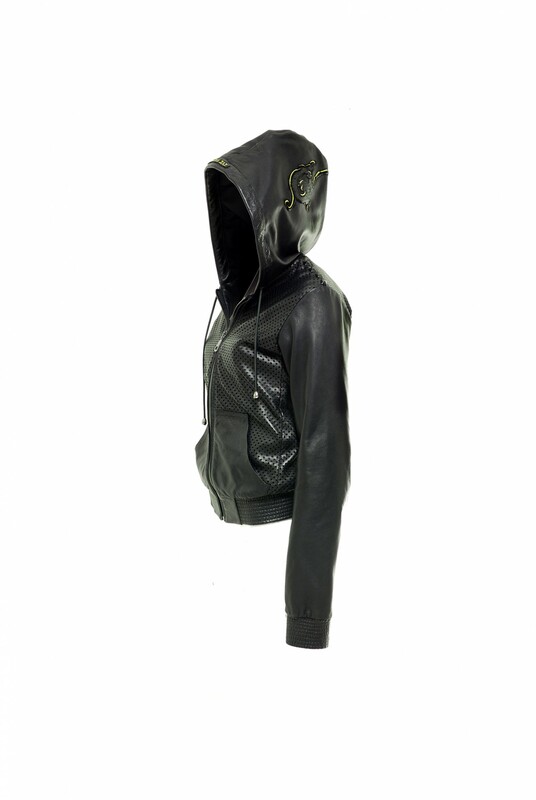 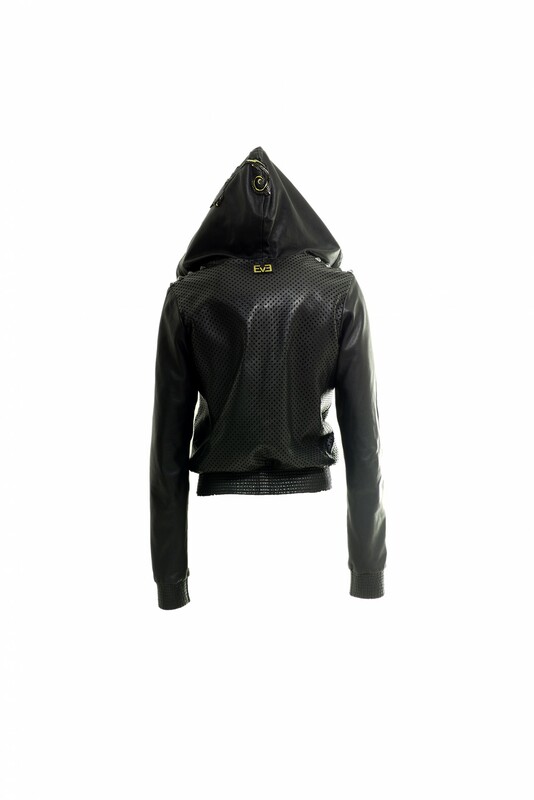 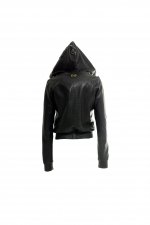 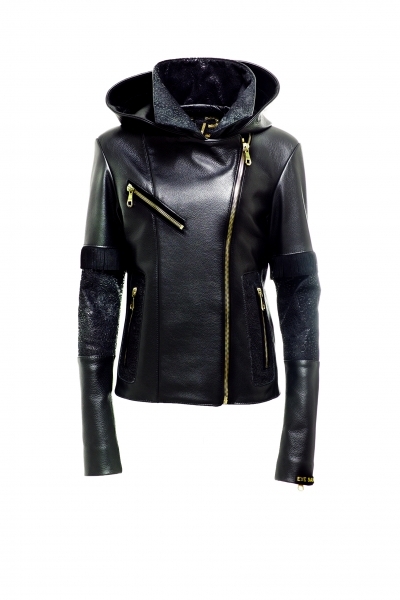 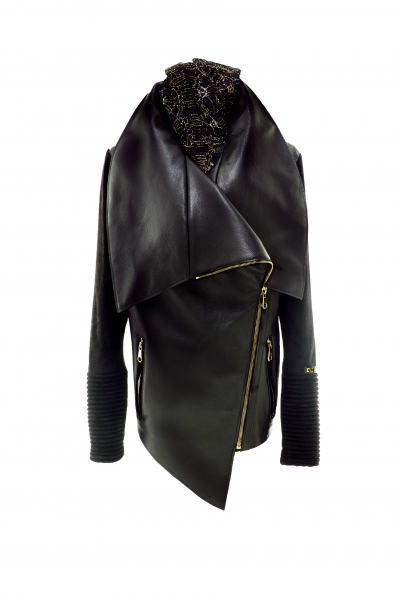 Hood made of perforated leather on the sides and lambskin for the centre piece. 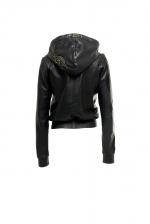 3D leather dragon on the side of the hood reminding Eve Salvail's tattoo. 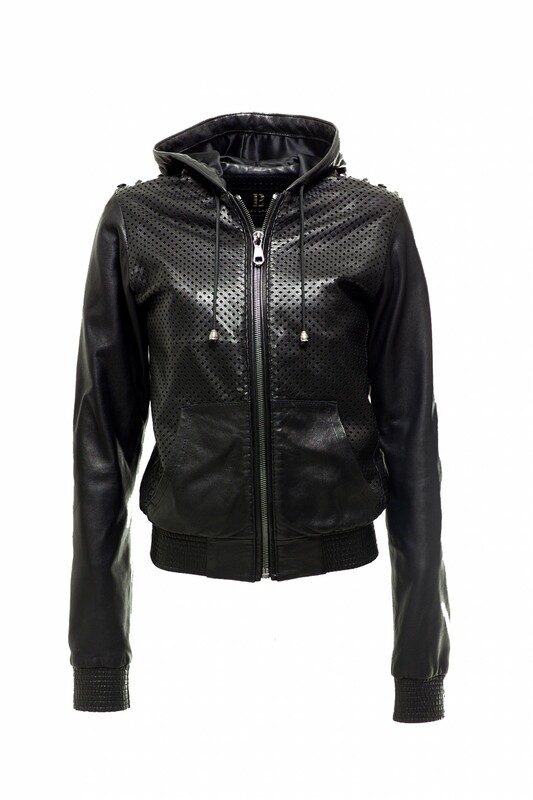 Perforated leather pocket on the right sleeve with zipper and cartridge-style leather band. Black metallic zipper at the front. High quality lining with leather finish and two inside pockets with zipper.